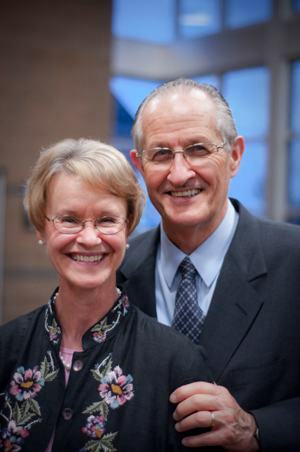 Doug and Margaret Nichols have served in world evangelism and discipleship since 1966. Doug began his work in India as a single missionary; then, together with Margaret, served for 21 years in the Philippines and 24 years internationally (Africa, Asia, and Latin America). Their main emphasis in ministry is evangelism and compassionate care to the poor, especially among the 150 million orphans, 100 million street children also helping equip and encourage the 3.2 million untrained needy pastors worldwide. Doug (75) and Margaret (72) serve as Global Missions Advocates/Mobilizers with Commission To Every Nation assisting and networking with Christian Growth Ministries (Philippines), and Grow International Ministries (Philippines). Commission To Every Nation (CTEN), a service mission with 693 missionaries in 58 countries. When Margaret and Doug joined CTEN in 2013, there were 457 adult missionaries. May God be praised! Since 1994, CTEN has been composed of missionaries serving in Africa, Asia, the Caribbean, Europe, Latin America, as well as Canada and the USA. Most of the staff raise their own support. This keeps the overhead low, allows more resources to reach the field, and enables better counsel and support to missionaries. CTEN provides financial accountability, is a member of the Evangelical Council of Financial Accountability (ECFA), issues tax receipts, provides pastoral care for all its missionaries, conducts three new missionary orientations yearly, and also provides excellent newsletter service. Yes, may God be praised!